I don't know. I genuinely wish I had a better answer, but that's the truth. Let's dig a little deeper. So how is this shoe company doing financially in the last 10 days or so. From what I've read, and I'm certainly open to input from others, online sales have grown 31% from the Sunday of Labor Day weekend, through today. And while there was an initial slump in the shoe company's stock price, it has regained 93% of that decline. I really couldn't find how to quantify this statement, but that actually seems pretty significant to me (financially)?! But there's no doubt that this choice as the shoe companies latest face of the "Just Do It" campaign has created significant buzz. We could get in to social engagement and likes and mentions and comments and Tweets and re-Tweets and all of that, but I think we can all agree that this has hit pretty high on the buzzometer. How about the brand? I did read somewhere that "sentiment" toward the brand dropped 38%, but does anyone really know how to quantify that? I do know that I saw a lot more shoes being burned than being placed on pedestals (but that's just my casual observation). Let's face it, this shoe company isn't stupid. I don't think they would take something as significant as this campaign to just make an off-the-cuff decision without first doing their homework. And I'm not inclined to think that they would take this opportunity to make a political statement, rather, just a very calculated understanding of who their audience is...now, and, mostly, in the future! Again, as an observer, it does appear to me that bigger brands are starting to get a bit more edgy. And I have to say that I am a fan. I mean we have to say something. Everything has gotten so safe and vanilla. Sometimes making an outrageous claim forces you to be bold and then have to stick with it. It's with that boldness that a true competitive advantage is born. Probably something you had always known, but were afraid or didn't know how to actually say it. But, for me, there are few things that I feel have gotten lost or forgotten. I don't know Colin Kaepernick. But I get the sense that there wasn't a 'grand plan' on his part to become a social activist. If I remember correctly, he reacted to a significant incident of police brutality by advocating violence against police himself. He wore socks with his uniform that had pigs dressed as police officers on them. He then seemed to align himself with Fidel Castro without, seemingly, knowledge of who Castro was. Maybe I just didn't understand but he seemed to say he wanted "freedom for all people" but then supported one of the most powerful oppressors of our time? When you take some time to actually think about how we got to where we are today and the "Just Do It" campaign, does it change your mind at all? It just strikes me that time often changes the narrative. 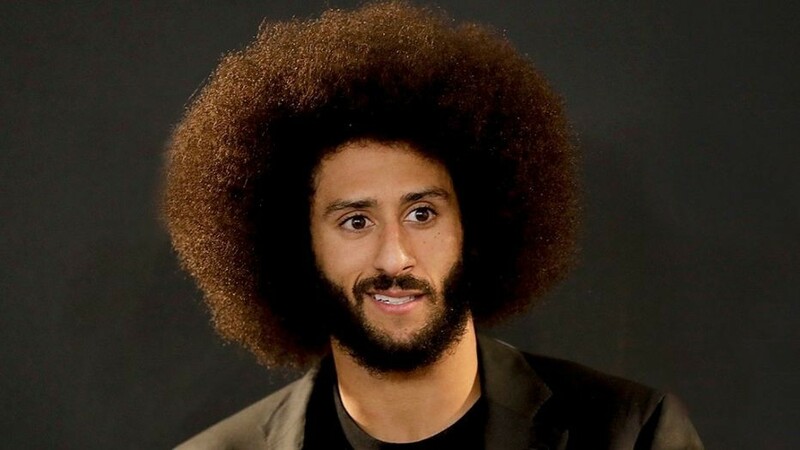 It seems we've painted Colin Kaepernick as this social activist fighting for injustice and are forgetting about many of his actions. That doesn't mean that there is no social injustice or that those who don't support Colin Kaepernick advocate police brutality. Absolutely not. Last week, on talk radio, I heard the comparison to Muhammad Ali. Now I'm sure this is controversial in itself. Truthfully, while I'm old enough to remember Muhammad Ali as a fighter, I'm too young to remember 'Cassius Clay'. But I would think that there must have been a lot of similar feelings to the stance he took against the Vietnam War and the draft. What I do know is that from the time I can remember, he seemed to be revered and looked up to as a leader, activist and a 'voice' that should be heard. But was it like that from the start? Or, did that happen over time?